Thanksgiving is a time when you spend the day with your family members and are thankful for all the good things that have come your way. Usually, the day ends with a great feast with everyone on the dining table. Thanksgiving has its own design themes. And in this article, you will find an elaborate list of designs that are available to you for free and you can use them as thanksgiving coloring pages. Using these designs, you can print them and fill in your own colors, giving yourself a chance to play around with these pages. 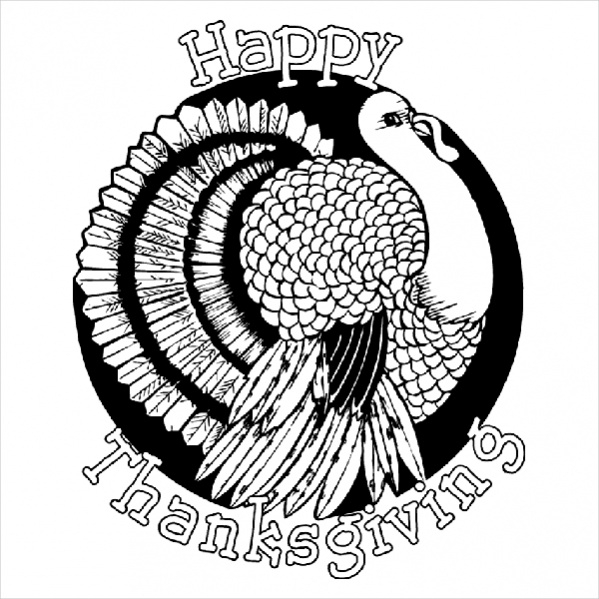 Here is a design that shows the body of a giant turkey in a circular design that you can color and send out as personalized greeting cards. You can also check out related coloring pages like free Christian Easter coloring pages. Here is a design for kids with the child like finish, the kind you will find in paint. 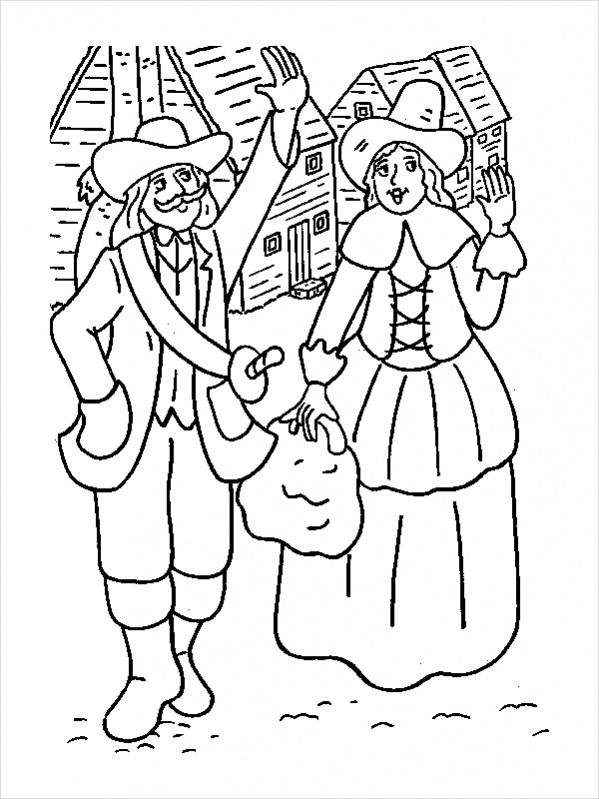 You can color up this design of the couple after you have printed this free page design. 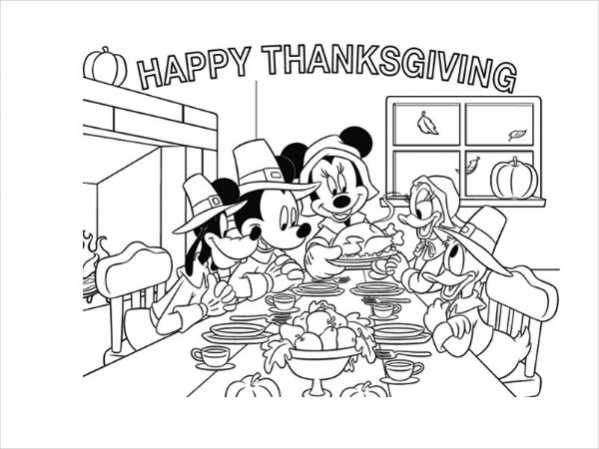 Say your prayer thanking your friends, family and the almighty using this beautiful free Christian thanksgiving coloring page. There is also a design of a turkey with peacock-like feathers that you can print and color for free. 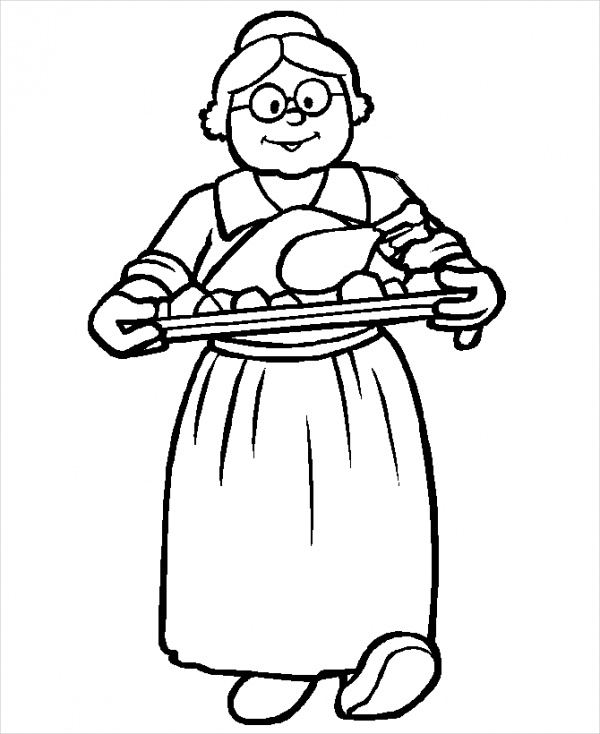 Here is a design of a lady holding a tray with a roasted turkey lying on it. As turkey is the ritual food item for the occasion, this design will perfectly fit your theme of thanksgiving. 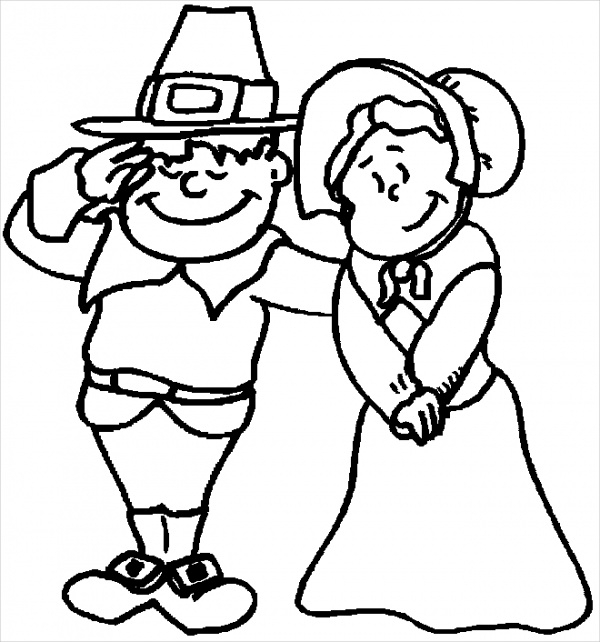 You can even scan an image of your family member and edit it to keep just the outline to create your own coloring page for thanksgiving. 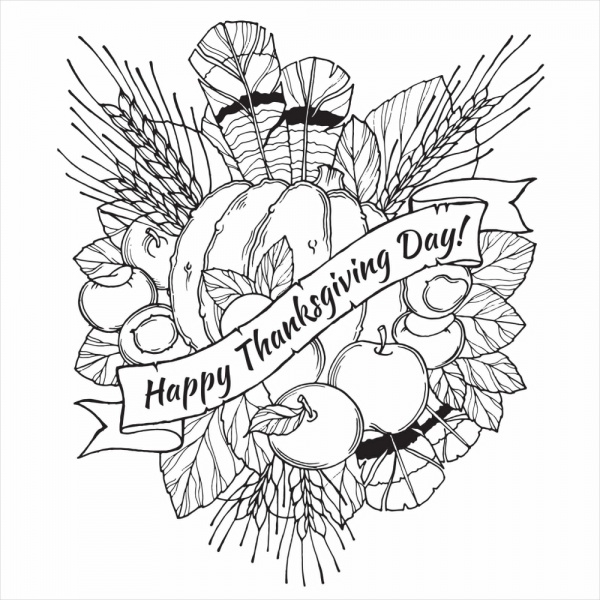 Here is an abstract design for a thanksgiving coloring page that shows various design elements related to thanksgiving floating around along with the wishing text written vertically. You can get your kids to fill in the colors and hang the page in your living room for the occasion. This design shows various Disney characters like the Mickey Mouse, Minnie Mouse, etc. sitting around a table and starting on the thanksgiving feast. Download this free coloring page from the given link. Here is a design very similar to the abstract design you saw earlier. 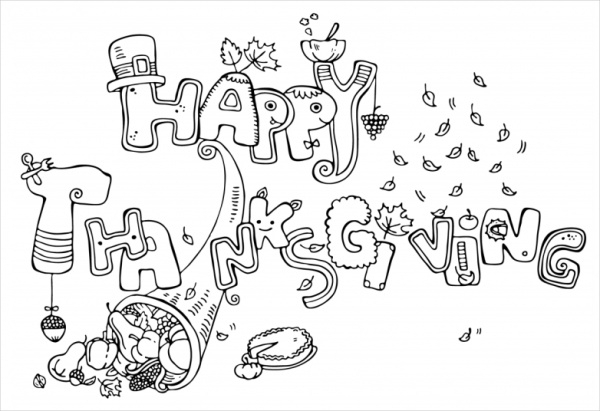 Just that there has been extra blank space provided in the design for you to fold the coloring page into a thanksgiving greeting card. So fill in the colors, and add some relevant hand-written text in the blank space and send it out to the family as a greeting card or an invitation for the thanksgiving dinner. Most of the designs mentioned above would be perfect for kids to fill in the colors and give that personalized look to it. Here is a coloring page example for adults as there are more details that go into the design which you can download for free from the below-mentioned link. This design would be loved by kids who would want to color up the page. 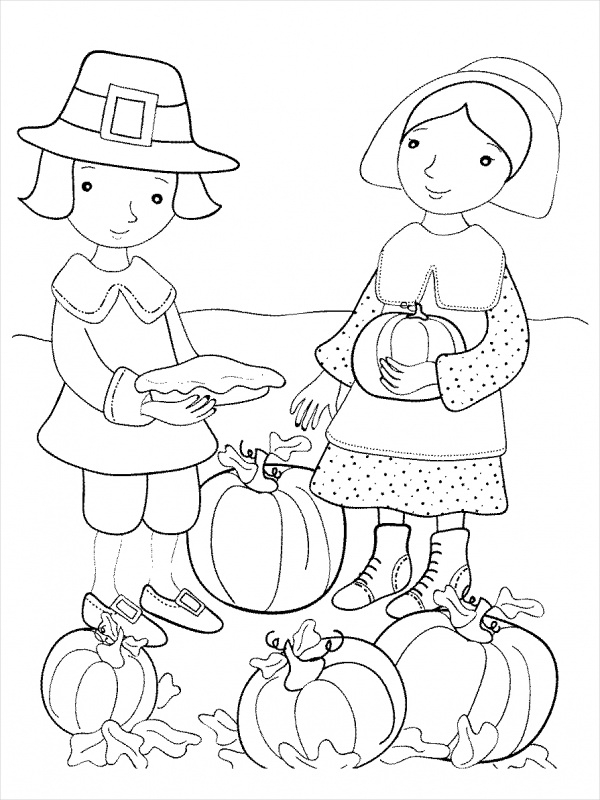 The design shows two people, with one holding a pie, along with pumpkins lying around them. Check out the color page design here. Here is a design that shows a couple standing outside their house and waving at you or another passerby. You can download the free copy of this page from the given link for free and let your kids imagination run wild. 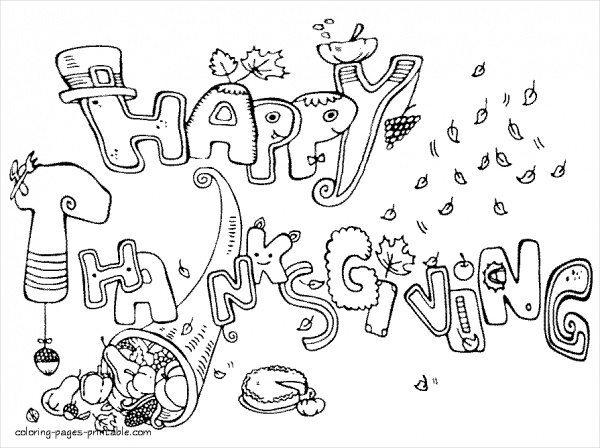 These examples of free thanksgiving coloring pages can be used as greeting cards, invitations or even just for home décor. These designs can even inspire you to create your own coloring page for Christian valentine or Christian children coloring pages. And like mentioned before, you can even use images of your own family members and trace the outline with paint or any other editing tool and customize it for your own family.